Railpictures.ca - Doug Lawson Photo: stopped just inside the south portal of the 3,800 foot long Shalalth tunnel. I seem to recall that we had had a meet at Seton siding and had just pulled out of the north end and were in the process of “restore to normal position” the north switch. I don’t know if it was coincidence or convenience that the Conductor’s portable radio failed and while stopped waiting for further communication, I had the opportunity of a good image inside the tunnel. Eventually the Conductor arrived in the cab, confirmed that the switch was lined and locked normal and we could proceed. I have been in numerous tunnels and they all seem to have the same dank, sour smell, leaving me with a strong sense that it is not normal to be underground. | Railpictures.ca – Canadian Railway Photography – photographie ferroviaire Canadienne. 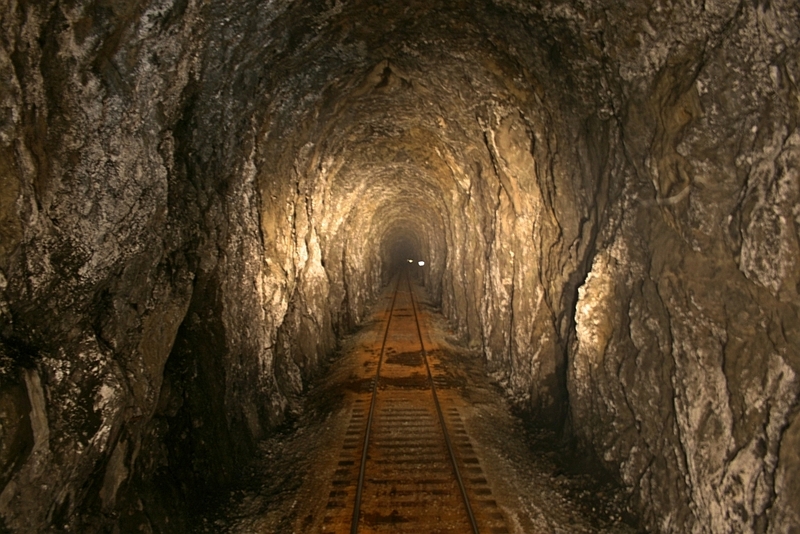 Caption: stopped just inside the south portal of the 3,800 foot long Shalalth tunnel. I seem to recall that we had had a meet at Seton siding and had just pulled out of the north end and were in the process of "restore to normal position" the north switch. I don't know if it was coincidence or convenience that the Conductor's portable radio failed and while stopped waiting for further communication, I had the opportunity of a good image inside the tunnel. Eventually the Conductor arrived in the cab, confirmed that the switch was lined and locked normal and we could proceed. I have been in numerous tunnels and they all seem to have the same dank, sour smell, leaving me with a strong sense that it is not normal to be underground. This is neat. Something we non-railroaders rarely see.